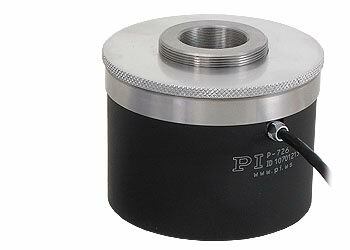 Piezo based nanopositioning focus drives / objective positioners are designed for fast motion and high resolution over travel ranges typically from 100 ?m to 500 ?m. 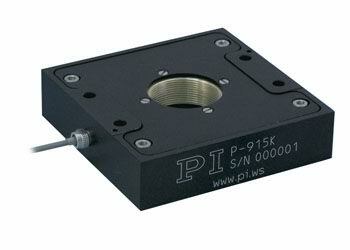 Their stiff piezo actuation system enables fast scanning rates and step and settle times in the low millisecond range. 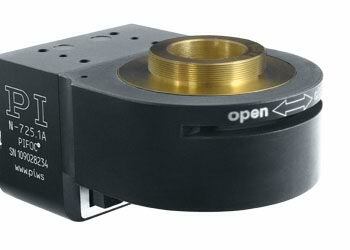 A new version with a piezo walk motor is now also available for long travel ranges to 2 mm. and stiff piezo flexure guiding system and the sophisticated digital servo, ensure high stiffness, fast response and minimal settling times. 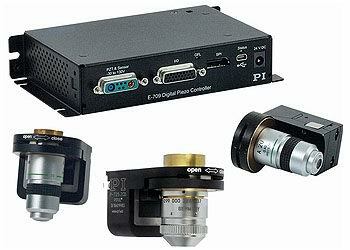 Highly parallel motion with minimum tilt improve image quality. 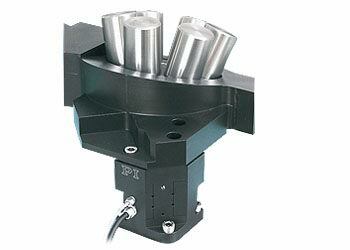 Nevertheless, the focusing systems are extremely compact. 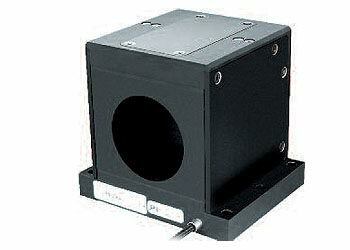 P-721 PIFOCs® are high-speed, piezo-driven microscope objective nanofocusing/scanning devices, providing a positioning and scanning range of 100 µm with sub-nanometer resolution and very high motion of linearity up to 0.03%. 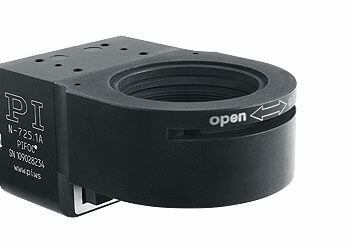 For applications, such as the two-photon spectroscopy wich requires a particulary high resolution, there are versions wich allow a free aperture of up to 29 mm in diameter. 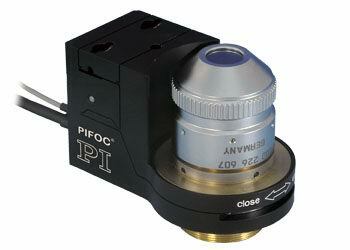 The P-726 PIFOC® Nanofocusing system was developed to achieve the fastest possible stepping time with the heavy, high-numerical-aperture objectives used in many of today's high-resolution microscopy applications. 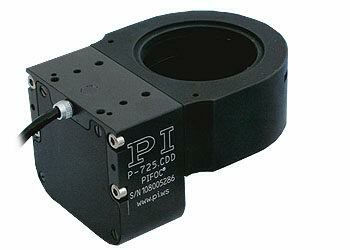 The P-725.xDD objective positioners were designed for extremely fast motion over relatively short travel ranges up to 18 µm. Their ultra-stiff direct piezo drive (1.2 kHz resonant frequency) enables the highest scanning rates and response times of only 5 msecs - essential for time-critical tasks. 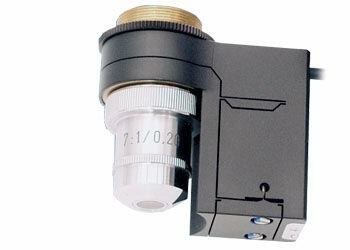 P-720 PIFOCs® are high-speed, piezo-driven microscope objective nanofocusing/scanning devices which can be mounted on most microscopes. The frictionless, flexure guiding system combines high guiding precision for superior focus stability with fast response for rapid settling and scanning. The innovative, frictionless, flexure guiding system provides enhanced precision for superior focus stability with fast response for rapid settling and scanning.